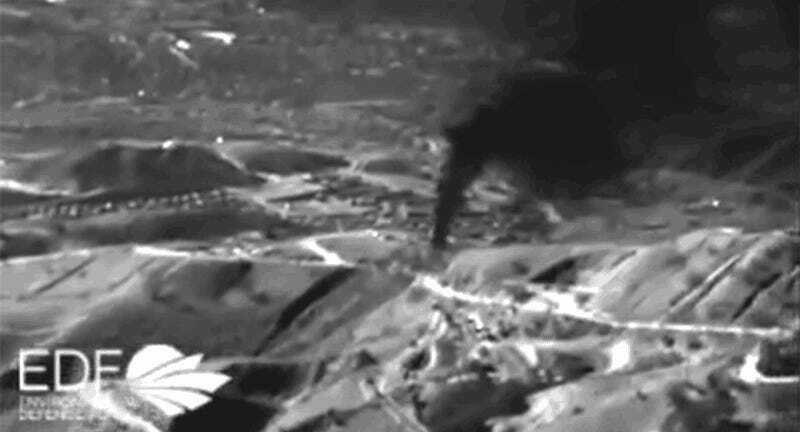 Engineers don’t know exactly what caused the gigantic natural gas leak outside LA that’s the atmospheric equivalent of the BP oil spill. But they suspected it might be aging infrastructure since the pipes are over 50 years old. Turns out that the well hasn’t had a working safety valve since 1979.
that the well did not replace the valve when it was removed in 1979—but that such a valve was not required by law because it was not a “critical well,” meaning that it’s less than 100 from a road or 300 feet from residences. Yet people who live about a mile away from the leak are being evacuated, mostly due to the negative physiological response to mercaptans, trace quantities of sulfurous chemicals that engineers add to the odorless methane gas to help detect leaks. And because they probably don’t want to live that close to one of the biggest environmental disasters on the planet. This news bolsters many existing concerns about the maintenance of natural gas facilities throughout the region. The leaking well was a former oil well converted into a gas well when oil extraction ended in 1973. This procedure which had been seen as routine but will likely prompt new regulations on how exactly natural gas can be stored and transported. Meanwhile, the leaking well might be plugged by March.